Jon Aaron has been active in the music industry for over 30 years as a manager, agent and producer of concerts, festivals and recordings. He has helped to develop the careers of guitarists David Leisner, Antigoni Goni, Paul O’Dette and the Los Angeles Guitar Quartet as well as numerous ensembles and soloists in a variety of musical realms. He was also a guiding member of the Young Performers Career Advancement Program for the Association or Performances Arts Presenters. Aaron in now a full time teacher of mindfulness, stress reduction and meditation. He first came across meditation in the 1970s, and then became more involved with the Insight Meditation community in the late 1990s, studying mindfulness meditation and Buddhism, which have since become central to his life. Jon trained in Mindfulness Based Stress Reduction with the Center for Mindfulness at the University of Massachusetts Medical Center, which has granted him full certification as an MBSR teacher. He has taught over 40 cycles of the seminal 8-week curriculum, as well as numerous courses for alumni of the program. Jon is also a teacher at the New York Insight Meditation Center, as well as the guiding teacher of the Makom Meditation Havurah program at the Jewish Community Center in Manhattan. 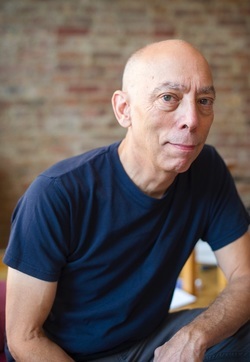 In addition to his long-standing commitment to his Dharma community, Jon enjoys teaching and sharing the practice with people in a multitude of settings. Over the years, Jon has given workshops and classes for organizations as diverse as ABC in the Broadcast Operations Division, the Cable Entertainment Group at NBC Universal, the New York Open Center, Physicians Reciprocal Insurance Cooperation, the NYU Medical School, the Department of Psychology at Einstein College of Medicine, the Beth Israel Medical Center, the 92nd St Y, the teacher training program of Yoga Sutra where he was part of the faculty, and the Federal Reserve Bank of New York where he led a group for seven years. He looks forward to returning to the Volterra Project.